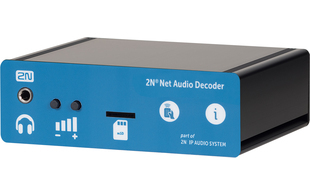 The 2N NetSpeaker and SIP Speaker units are revolutionising the way companies are broadcasting announcements and streaming music around their premises. Utilising standard IP Networks the 2N NetSpeaker and SIP Speaker are easy to deploy and enable companies to drastically reduce music licensing costs as they can distribute music and other audio messages to multiple locations from a single source over their existing network. Once registered we will send out an email confirmation containing information on how to join the webinar.